FEATURES/SPECS Everyone that enters your man cave will be yelling "Batter Up!" when they see this classic design baseball theme personalized bar sign. 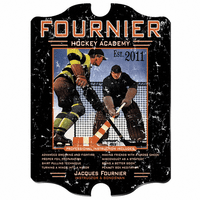 It is made of a solid piece of composite wood covered in a smooth black base. 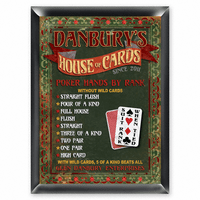 The front has a weathered wooden fence print for a vintage feel. A swing baseball player is printed on front in a deep maroon red. Add your name across the top and a two lines of your own choosing below. 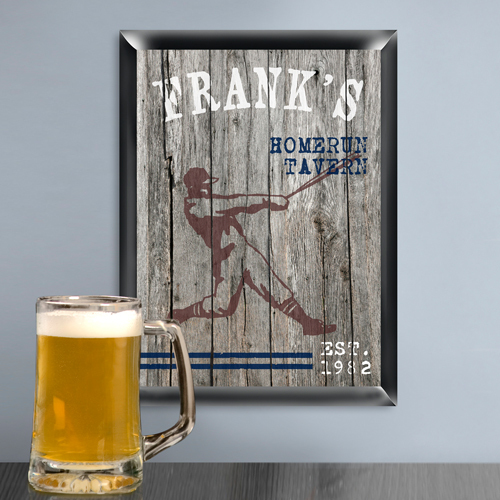 Some popular choices for these lines are "Baseball Tavern" or "Baseball Man Cave." 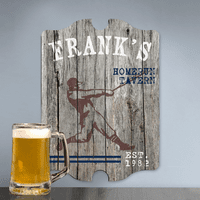 Add a date of establishment to the bottom and your personalized baseball pub sign is complete!